Magnus Renfrew, the founding director of the what is now Art Basel Hong Kong, is to lead a new venture across the water in Taipei, set to open in January 2019. The cultural entrepreneur and former Bonhams deputy chairman in Asia says the event, called Taipei Dangdai—translated as “present moment” in Mandarin—is to be purposefully smaller in scale than its Hong Kong counterpart, with some 80 exhibitors and a significantly greater regional orientation. “Hong Kong is the right context for a global fair for Asia. It has the right tax circumstances, the shared history with the West and the global connectivity,” says Renfrew, who directed Art HK from 2007 to 2012 when it was purchased by Art Basel (he stayed on for two more years after the merger). “What we’re trying to achieve with Taipei is something quite different. There’s an opportunity here to positively define regionality as something that is intended rather than something that is regarded as second best.” He adds that Taiwan, which ranks fifth in some global wealth reports, is regularly underestimated in terms of its capital and potential. 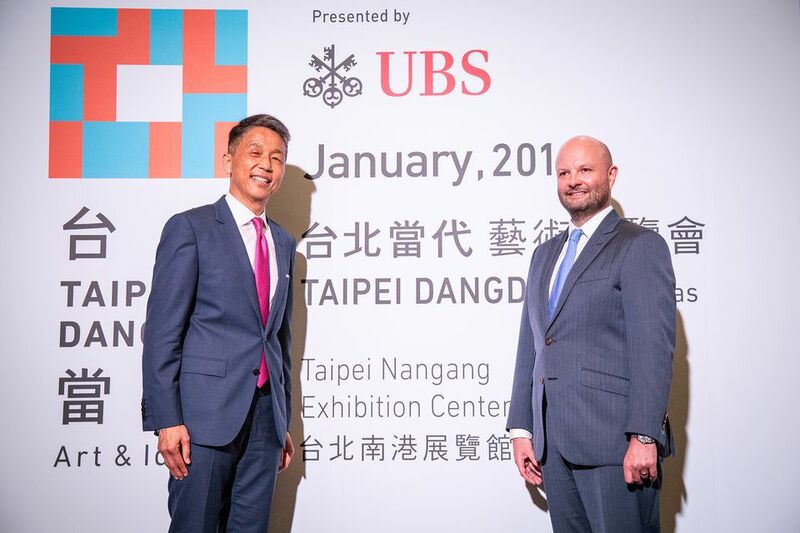 The UBS-presented fair will be hosted at the Taipei Nangang Exhibition Center and will coincide with the Taipei Biennial next January. While the exhibitor list is still to be announced, Renfrew says he aims to cater to local vendors and the international galleries that have a real presence in the region. Taipei Dangdai will include a sector for galleries less than eight years old, one for solo presentations by both emerging and historical artists, and another called Salon dedicated to works priced under $8,000.